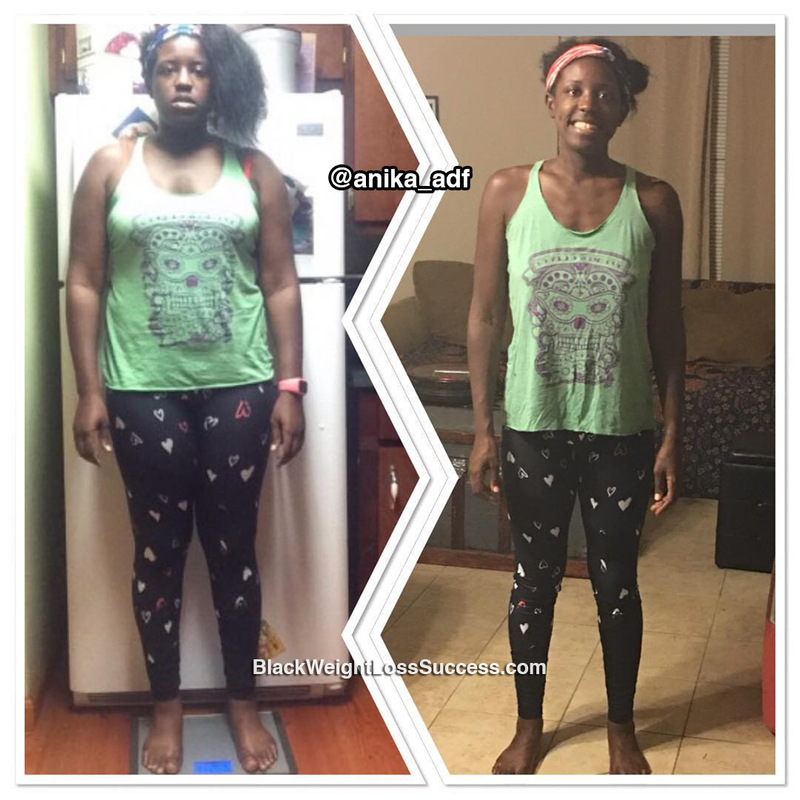 Anika lost 67 pounds. At 216 pounds, she took a long look in the mirror that she had been avoiding and decided that it was time to make a change. To release the weight, she cut out high glycemic foods and tracked her eating habits with MyFitnessPal. Check out her journey. I put one my favorite pair of sweatpants one day and realized that they fit tightly around my thighs. Then, I took a good long look in the mirror I’d been subconsciously avoiding and really evaluated my body. I didn’t like what I saw, so I decided to make a change right then! When I finally stepped on the scale, I realized that I was heavier than ever before. Everyday, I work to make sure I don’t end up there again. How long did your transformation take? This transformation took about 6 months. I started tracking what I was eating so that I could decide where to make changes. I track everything I eat using MyFitnessPal. I’ve found that it holds me accountable on days when I exceed my eating goals. It puts everything into perspective. I have PCOS and after reading several papers I decided to limit my intake of high glycemic foods. Cutting back on chips and alcohol was essential! I love veggies, so I bulk up my meals with whatever frozen veggie I buy that week. I try to maximize my protein and have moderate carbs. I still allow myself the occasional indulgence, but I do that far less than I did at my heaviest. I didn’t exercise for the bulk of my weight loss outside of walking my dogs and doing some light yoga. I recently started running. I’ve signed up for my first 5K in a month. I’m currently running about 4 times a week for 30 minutes. What advice would you share with people who want to lose weight? My advice to anyone looking to lose weight is be honest about what and how much you are eating. Weight loss is 90% Diet and 10% Exercise.